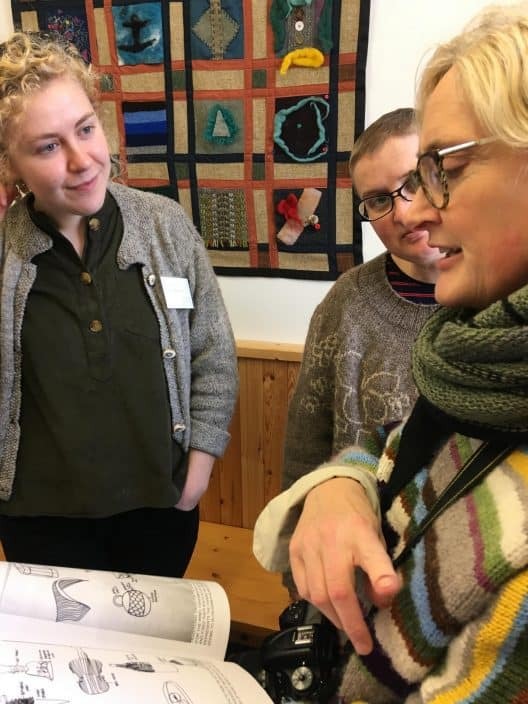 The North Atlantic Sheep and Wool (NANSW) conference was founded in 2011 by Karin Flatøy Svarstad, a felt artist and self-confessed “woolly lady”, from Norway. 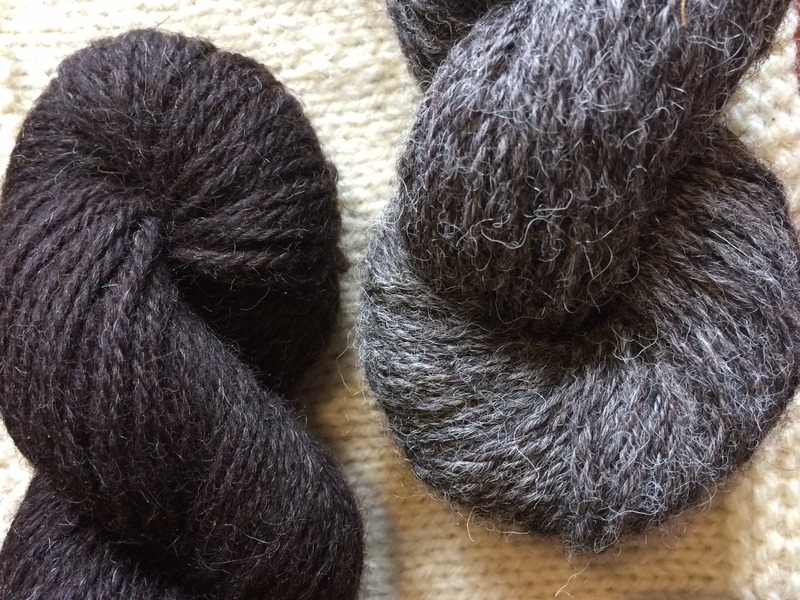 Karin wanted to put focus on the native wool in Norway, which was seen as worthless and which was being disposed of, rather than used. 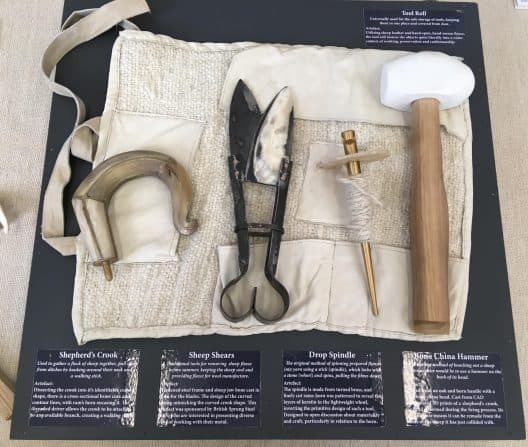 Karin saw that areas of the North Atlantic were seeing similar issues with their primitive or native breeds; sheep which she calls “viking” and which are part of the Northern European Short-Tailed group. This group is thought to date back to Neolithic times and while the NANSW conference has chosen to focus on sheep breeds from the North Atlantic region (Shetland, North Ronaldsay, Icelandic, Faroese, Norwegian, Manx, Soay, Boreray, Hebridean, etc ) the group also incorporates Swedish breeds, such as Gotland and all the Swedish landrace breeds; the German Heidschnucke breed; the Finn sheep; Ouessant; Estonian Ruhnu; the Polish heath sheep; the Russian Viena and Romanov breeds and the Skudde sheep, from the Baltic states. The characteristics of these sheep are their small stature, their short tails, a double coated fleece and the fact that they are agile and hardy, to be able to live in some of the most unforgiving and harsh climates. The sheep in this breed group are tough, often living on the periphery of their environment. 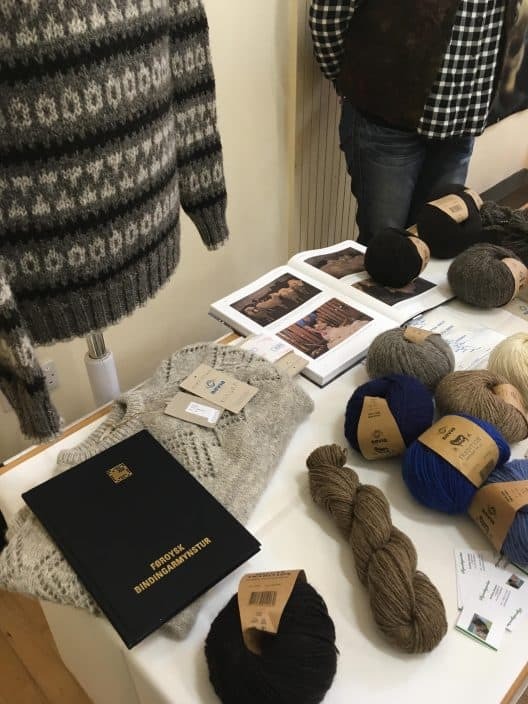 The areas of the North Atlantic which have been visited for conferences over the last 8 years have been Norway, Shetland, Orkney, Iceland, Faroe, Isle of Man and now Uist and the hosts of the three day conference in the Outer Hebrides was Dana MacPhee and Hazel Smith, of Uist Wool. 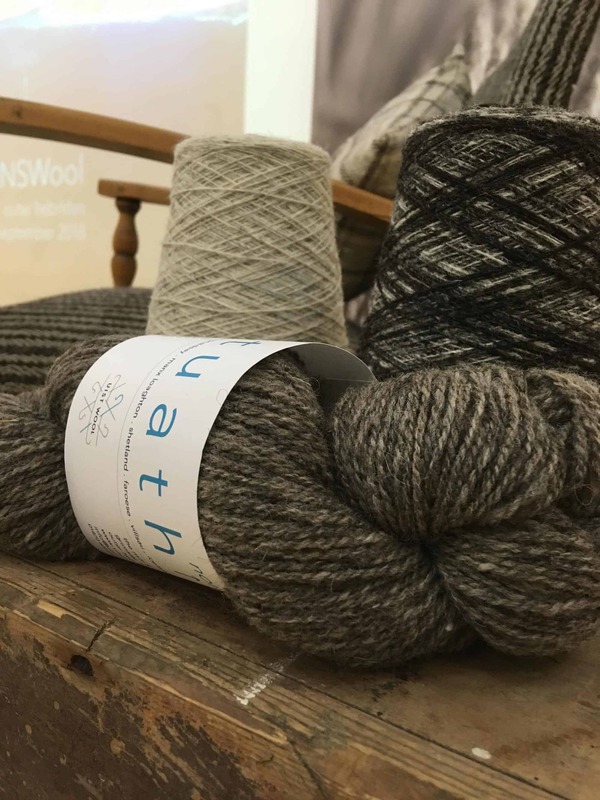 Listeners of this podcast will remember that I visited Uist Wool and did two episodes back in July last year. If you haven’t already listened to that and would like to hear those and the interviews with Dana and Hazel and the tour of the mill, please enjoy episode 89 – it will be a companion to this episode. I was delighted to be asked to speak at this conference and it was a truly eye-opening and fascinating conference to be a part of. 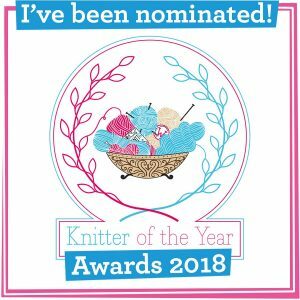 Not simply a knitting event, but an important event which put the focus on the whole sheep, the landscape and the people who champion these breeds. Each day there was a morning of lectures at the Iochdar Hall, South Uist, followed by lunch and then a tour of the islands. 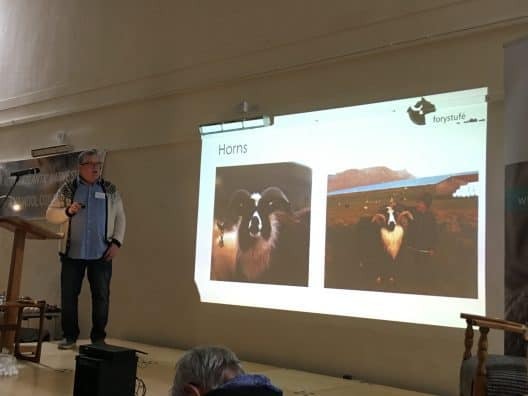 Hazel Smith, Mill Manager at Uist Wool, talked about how the theme of the conference was “tenacity” – a word which perfectly describes this group of sheep and also the hard-work and perseverance which goes into caring for and championing these breeds and their wool and mean products. 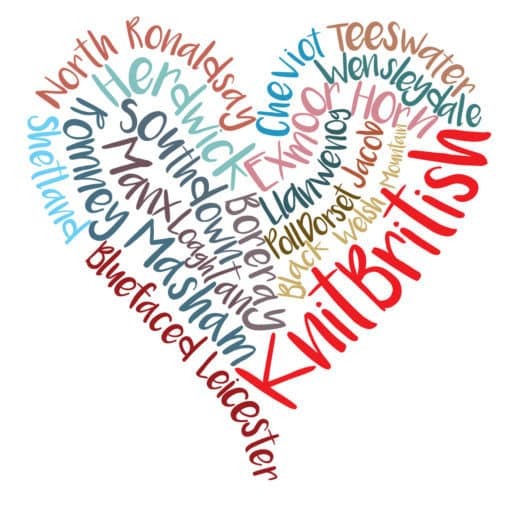 The talks all draw together those themes – like warp threads – and what is woven into this important fabric is the drive and passion of the speakers – from the croft to the mill, to yarn, to cloth. Please listen in for a run down of the lectures, below is the list of speakers and links to their online places. Each day after the talks we got on a bus, one day we travelled south and the next we travelled north. 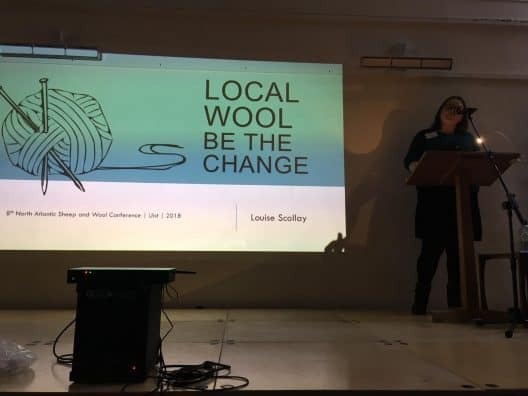 I had such a great time at this important conference and I really hope there are more conversations and events which have a whole sheep focus. 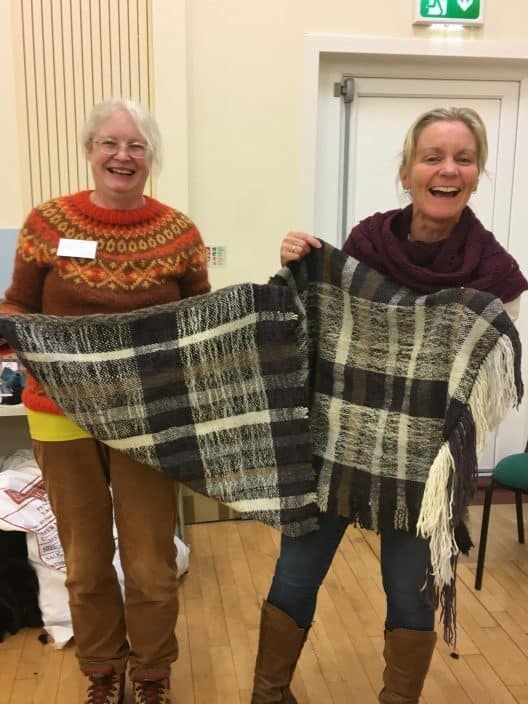 It was also a delight because I got to spend some time with some incredible woolwomen; we put our heads together in thought and threw them back with raucous laughter. I loved this! Thanks so much to Lilith, Jeni, Rachel, Jules and Tania for being great companions and to Hazel and Dana for arranging such a great event and looking after us so well. Music used in this episode is Squire Tuck, Declaration of Love, which is available via freemusicarchive and shared via creativecommons. Images are copyright to those mentioned in the captions, otherwise they are mine. Please don’t reproduce without permission. I flew to Uist, with Loganair via Glasgow to Benbecula. I stayed at Nunton House Hotel , in Benbecula. 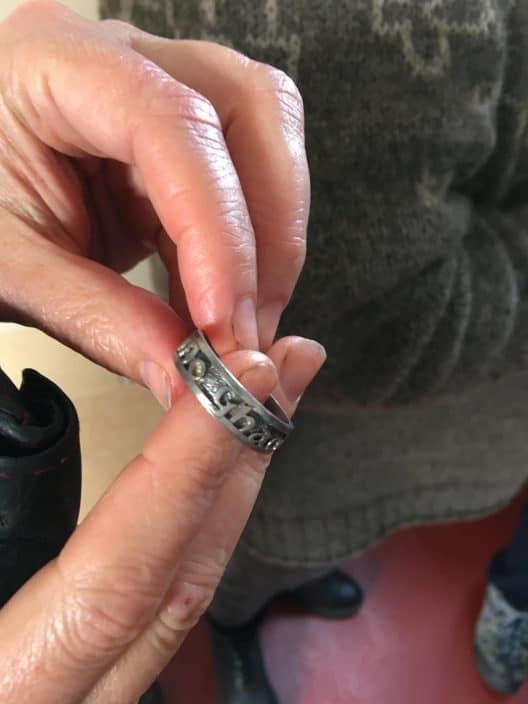 What a great episode Louise – thanks so much for sharing your thoughts, the conference audio clips and these lovely links and photos. 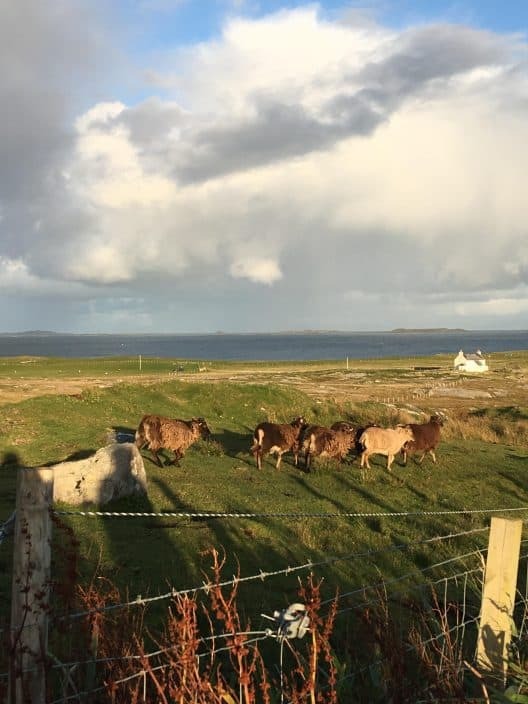 I have been listening while knitting with Uist Wool’s Fras DK and thinking back on my own memories of visiting that very special part of the world. Thanks for this great episode. I really enjoyed it all. 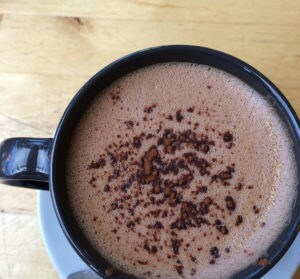 Thanks for this blog. Great to have a report on the conference, especially as I missed being able to go.